You are the daring Super Ace, engaged in realistic, thrilling, and challenging high flying battles against the enemy. The only unfortunate thing is that the background music might cause you to suspect that your console is malfunctioning, or that you have a bad cartridge... but rest assured, you do not. The console was still brand new, and Capcom was in a hurry to capitalize. They had a decent shooter port on their hands, but no time for musical embellishment; you understand. Guide Super Ace over land, sea, and in the air through 32 different scenes. 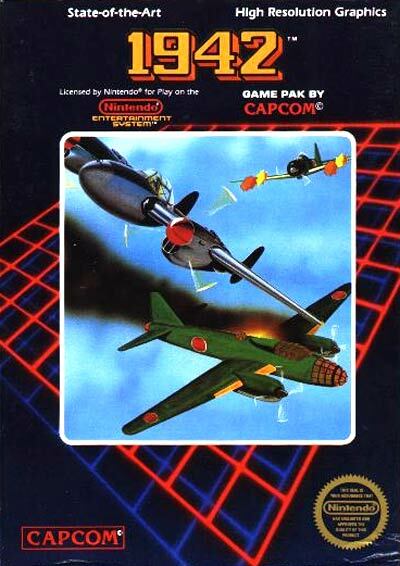 Reach Tokyo and destroy the remaining enemy aircraft... proceed to superior follow-up title, 1943.